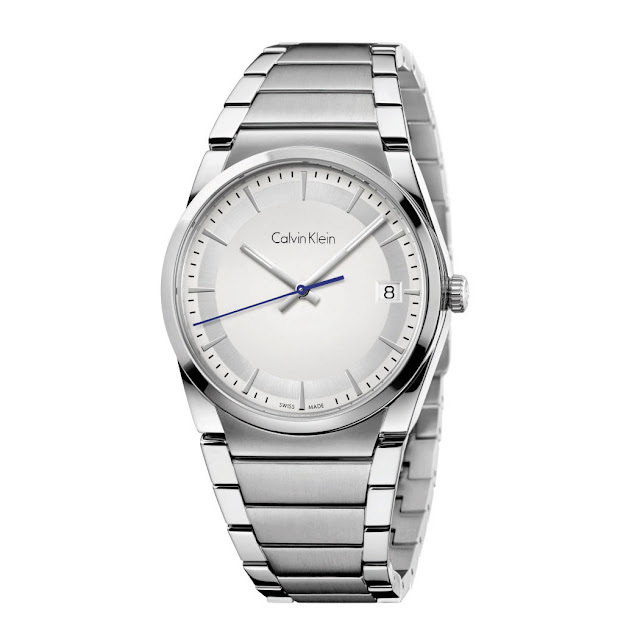 The graphic and contemporary Calvin Klein step watch flaunts a certain vision of elegance. 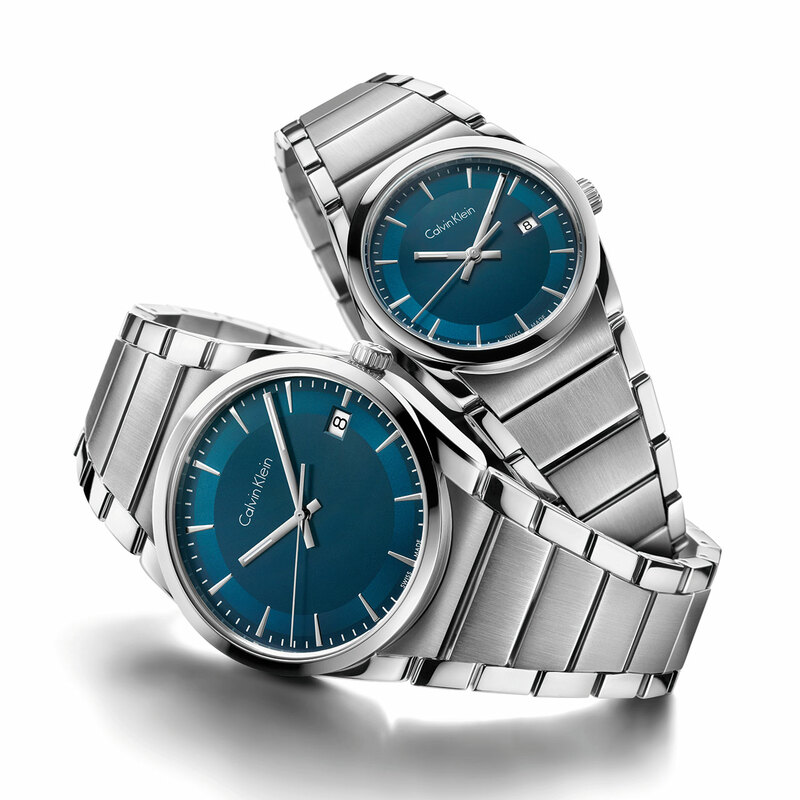 Inspired by urban architecture, its round case and its perfectly carved steel lines make a perfect fit on any wrist. Interpreted through four men’s models and four feminine variations, Calvin Klein step plays on contrasts, combines materials and appears in a multitude of colours. This city timepiece features an extremely pure metallic grey, silver-toned or petroleum blue dial framed by a case in two diameters also displaying a variety of styles. 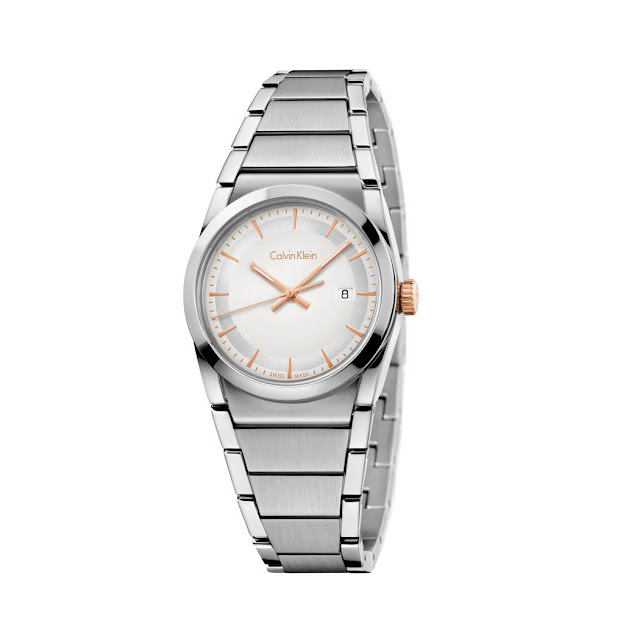 Whether sporting an aura of casual chic as a polished and brushed steel model or delightfully refined in a two-tone pink gold-plated version, Calvin Klein displays the hours, minutes, seconds and date with quintessential simplicity. Its chief asset lies in a truly timeless appeal. Polished and brushed 316L stainless steel, two-tone 5N pink gold PVD-coated, 38mm. Sapphire crystal. Water-resistant to 3 bar (30 m/100 ft). Petroleum blue, metallic grey or silver-toned. Hands and hours in polished steel or 5N pink gold PVD-coated. Date at 3 o’clock. Polished and brushed steel. Folding clasp.